To make a fix and flip project a success, you need a skilled, experienced general contractor on board from the start. Once you’ve found a promising property and an inspection has been performed, your contractor provides an assessment of all the work that needs to be done and what the costs will be. This assessment is critical to securing financing for the rehab. Your contractor is responsible for the work needed to transform the investment property into a home that will sell—at a profit. Your contractor is knowledgeable about construction—especially local construction styles. He or she knows how to read the building’s blueprint—something that’s critical to preserving the integrity and safety of the building—and what you need to do to bring the building up to code. Contractors also know the local plumbers, builders, HVAC technicians, and other contractors you’ll need for the project. Since these people frequently work on the same projects together as a team, hiring a good contractor almost always means you get a good group of people on board. If you’re a first-time fix and flip investor, you need to find an experienced, reliable general contractor who delivers good work in a timely manner. This requires some research on your part. The single best way to find a good contractor is to ask someone you trust to recommend one. However, if that’s not an option, you can also look on Angie’s List or the Yellow Pages. Check the listings for contractors in your area. When you find one, take some time to read the customer reviews. If the reviews are good, then the next thing you need to do is check the contractor’s license. This Contractor’s License Reference Site offers links to licensing information for every state. It’s critical that you don’t omit this step. Hiring someone who’s not licensed could backfire in several ways. In the worst-case scenario, the contractor could cause damage to the property or simply disappear with your money. If the license checks out, then it’s time to call the contractor to discuss your project. 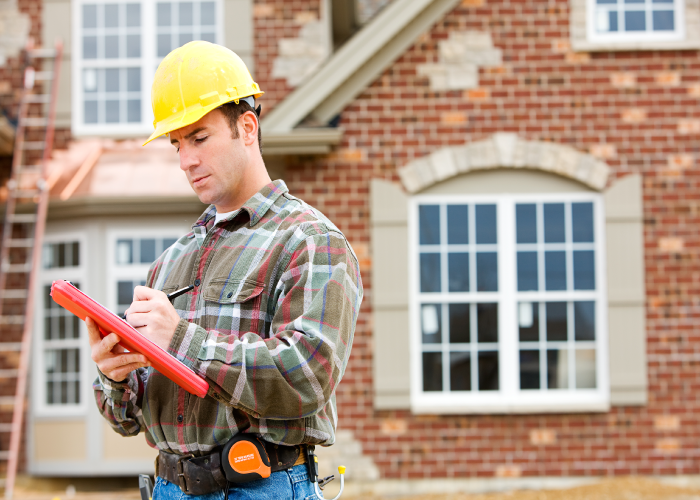 Keep in mind that reliable contractors do not charge for estimates. The estimate should contain an itemized list of all the work that needs to be done, the costs of labor and materials, and the projected time frame. It should designate whose responsibility it is to obtain any necessary permits. Additionally, it should clearly list what happens in the event of unforeseen developments—something that can easily happen in a rehab project. Finally, before you agree to the estimate, you need to request a copy of the contractor’s insurance policy. This will protect you in the event you or any of the workers are injured, as well as if the property is damaged due to the contractor’s actions. Lastly, keep in mind that a contractor usually asks for 25 to 50 percent up front to purchase materials. If a contractor requests more than 50 percent, treat it as a red flag and find someone else.